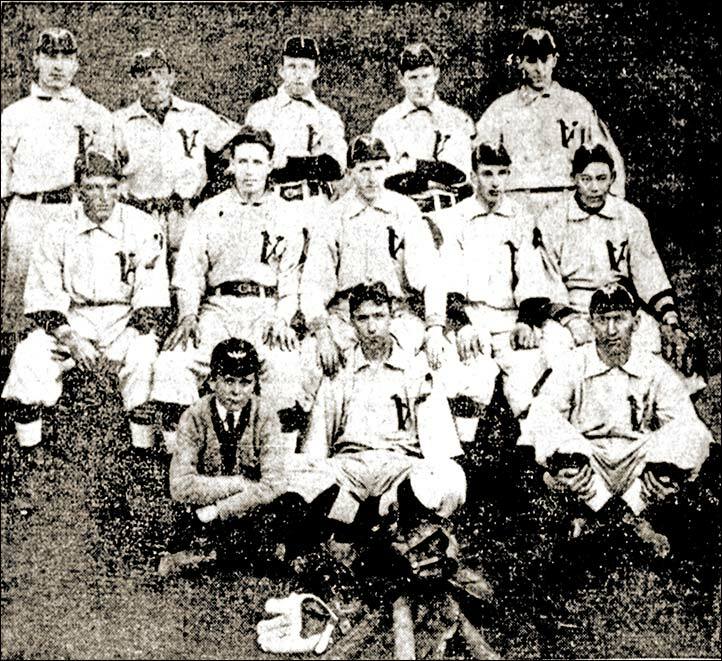 Victoria's semi-pro squad in 1910. Back row (left to right) - Leonard Wattelet, Bob Murrah, McIlmoyl, Charlie Surphlis, Bob Whyte. Middle row - Brock Robertson, McDiarmid, Brown, Pete McQuade, Moore.